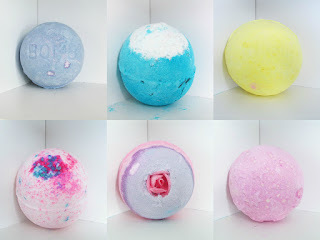 So as I mentioned recently, you all know I've started working for a company that I have adored and been so passionate about since the age of 14, that company being Lush Cosmetics, to begin with it was just the creative idea's and unique fragrance behind the products that had me hooked, e.g. Bath Bombs, Bubble Bars and Soap. From there I tried out products from the skin care range and then branched out to other products such as shower smoothies, lip scrubs and foot masks. After a while I found my shop favourites and mainly stuck to buying the products I loved and knew suited me well. I started working at Lush at the of July and since only being there a month I have learn't so much about all the products and the amazing stories behind them, there's so much more to Lush than the creativity, the work that goes on behind the scenes is incredible and makes the company so unique and special compared to others, I can now honestly say I am completely hooked and I'm honoured to be working for such a beautiful company. I'm going to leave out my Skin Care range as I will do a Skin Care Routine soon and don't want to repeat myself, so I will list all the other products that I have bought.